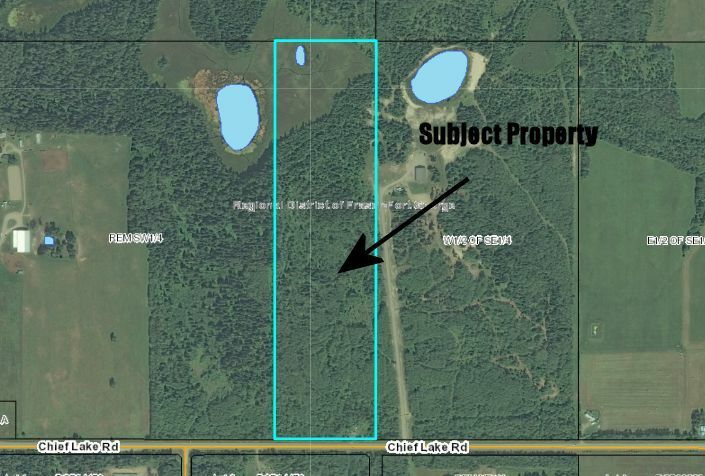 This beautiful 40 acre parcel is just past the drive-in theater on the right hand side of Chief Lake Road. It is flat with good productive farm surrounding it and there is already a drilled well on the property. Very few larger parcels like this one left that are close to town. Zoning allows any single family or farm use including mobiles.